BC's Funniest Toastmaster for 2012 – 2013 – I will always remember hearing the audience roar with laughter. This past fall I competed at the District 21 Table Topics Contest. In a few short weeks, I will be competing at the District 96 International Speech Contest. The minute after I won the Division Contest, I texted my mentor Joe and tell him he was right: he had long ago predicted I would end up at District. I still find it hard to sink in because I have always viewed speeches for the International needing to be the triple threat: inspirational, motivational, humorous. I feel like my speech does not mean any single one. To obtain my CL, I would have to chair a speech contest. It still took a mentor giving me a very strong nudge before I contacted the VP of Ed to sign up to chair my club’s Humorous and Table Topics contest. He responded within the hour: congratulations, I was contest chair! About a week ago, I was informed I would be moving on to the next round of the Toastmasters Evaluation contest. I had entered at the club level, placed second, and was done. Two days before the Area contest, I got an email from the first place winner that he was unable to go. It would be up to me to represent the club. Except I wasn’t sure if I would. This was the busiest time for me, hands down. I’ll admit I wasn’t entirely thrilled about the short notice either. In the end, I took a deep breath and decided to go. Whatever happened, happened. One June afternoon in the sixth grade, the teacher decided to play Telephone. For those not in the know, Telephone is a game where one person (the teacher in this case) thinks of an initial sentence, and the sentence is passed from person to person until the last person says it out loud. Often times the resulting sentence will be quite different from the initial one. Almost twenty years later, here are three things Telephone taught me about communication. That was the first thing I heard when I joined the conversation. A fellow Toastmaster had given a speech, received feedback and I thought nothing more of it until I heard that line later in the meeting. The idea that speeches in Toastmasters are different from the real world is an understandable concept. Toastmasters is undoubtedly safe, and it’s that security that gives me the courage to push my own personal speech boundaries. Using props and costumes? I’ve tried that. Running around on stage? Yup. Breaking out into (horrible) song? Two weeks ago I was finally brave enough, and jumped in with my eyes closed. 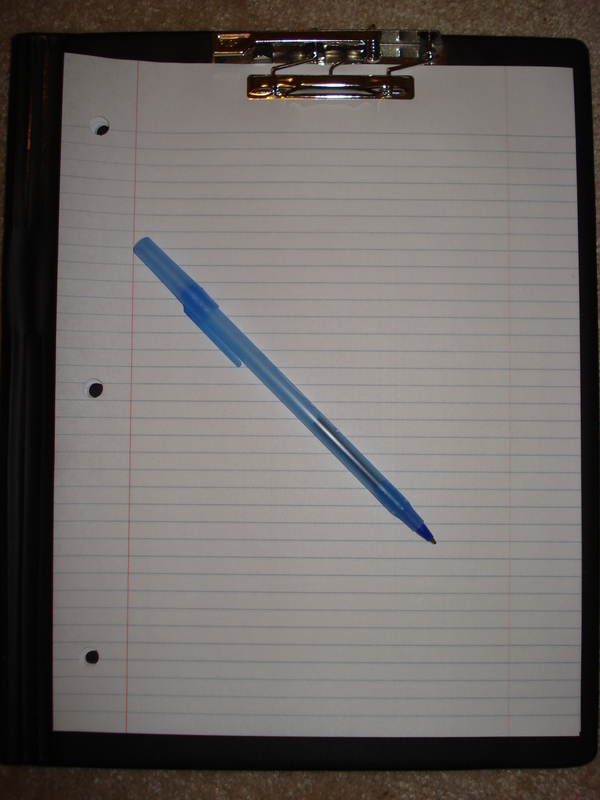 I have always felt something freeing about having a blank pad of paper and a smooth writing pen. I am free to write whatever I want, however I want, wherever I want. No matter how much I improve on my public speaking, I will always find comfort expressing myself through the written word.